This universally flattering blush adjusts to your skin's chemistry to create the look of a naturally flushed cheek. This finely milled light pink formula adjusts to the skin's chemistry to create a customized look of "pinched" rosy cheeks. 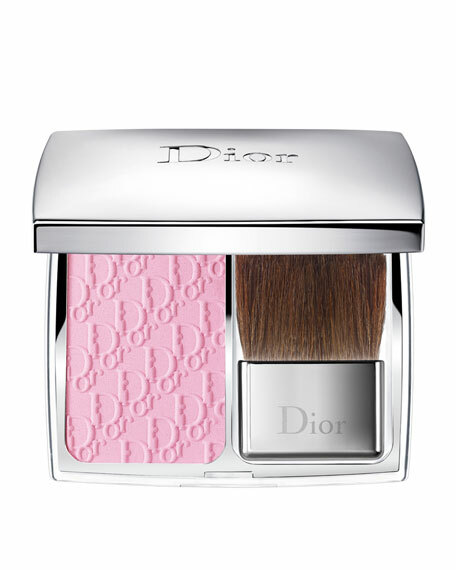 Each Rosy Glow Blush comes in a sleek silver case with an easy-to-use brush applicator and features an embossed Dior logo pattern. The universal shade Petal works on all skin tones. Its ultra-fine powder texture and its irresistible rose fragrance offer a moment of pure indulgence with each application.